The Savage AccuFit system includes four length of pull spacers and five combs. 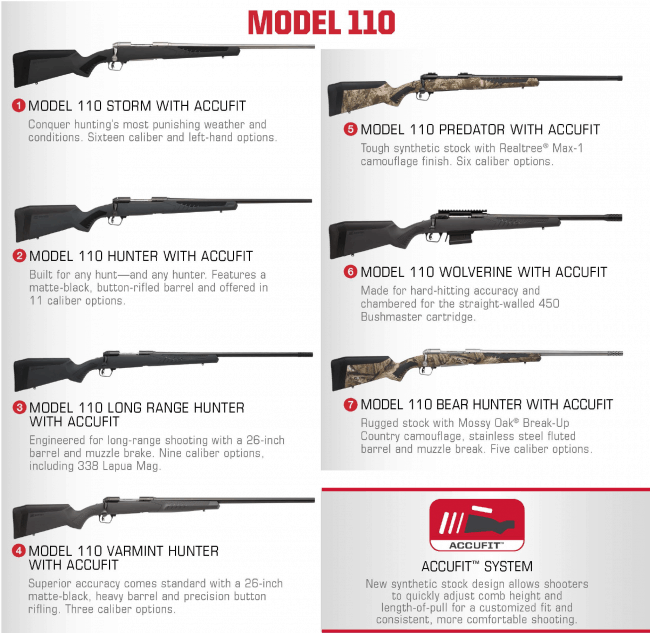 A few of the new 110 rifles with the AccuFit system. Savage Arms always introduces dozens of new models every year at SHOT Show, and 2018 is no exception. 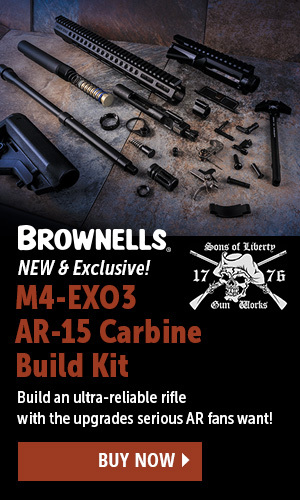 The biggest source of new models is the addition of their new AccuFit adjustable stock system. This system will appear on nine models of 110 rifles for 2018. The AccuFit system allows a shooter to adjust length of pull and riser height to match his or her needs to get proper cheek weld and a good trigger pull. 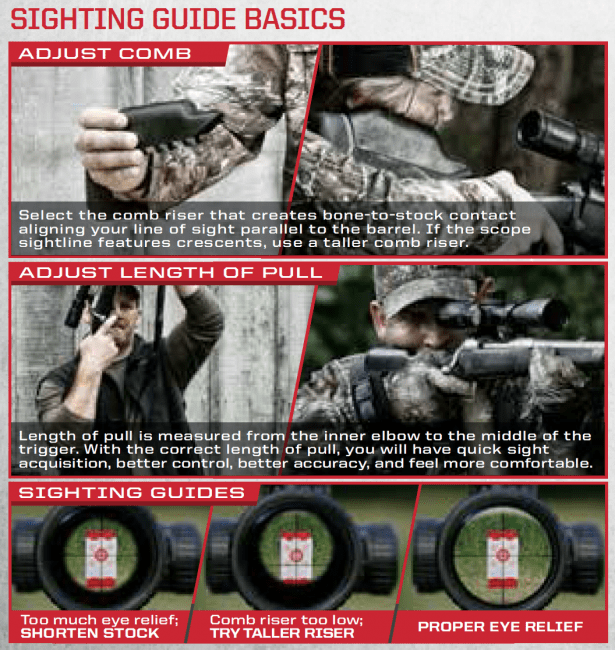 The method of doing so is not new to the firearms industry, but this is the first time such an adjustment system will be available for Savage rifles. The AccuFit system locks together with two Phillips screws. The system is not intended to be field-adjustable. However, only a Phillips screwdriver (Savage recommends a 6″ No. 2) is needed to remove the buttpad that locks everything in place. Once the buttpad is removed, the length of pull spacer can be added or removed from the buttpad. The comb rocks out of place and gets locked in tight once the buttpad is tightened on the stock. A departure from other similar designs is that the AccuFit system does not combine spacers to achieve different length of pulls. Instead, only one spacer is used with four different sized spacers available plus the option of running no spacers at all. 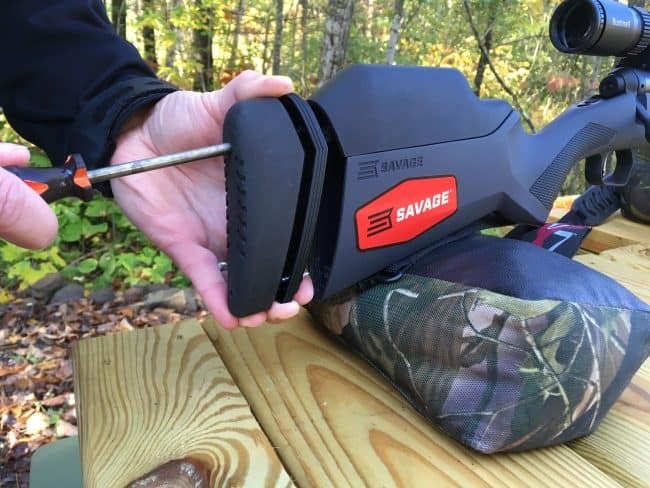 This allowed Savage to create a system that requires no internal spine to stabilize the spacers. The wedge shape of the spacers ensures the buttstock will behave just like it were one solid piece once the stock screws are snugged down. 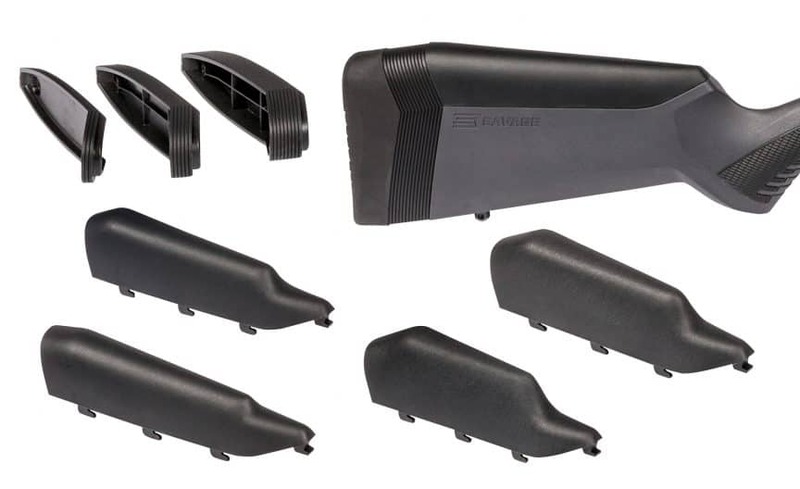 Savage provides a helpful guide to choosing the right AccuFit spacers. Length of pull is currently adjustable between 12.5 and 13.5 inches in quarter-inch increments. Comb height is adjustable with five different combs in 1/8th-inch increments, allowing for a very precise cheek weld. 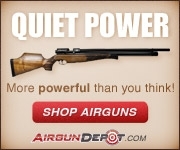 Click the ad and save 10% off your order at ShootSteel.com with code “TWANG10” at checkout.